October 22 – Smart is Cool Day! Beep! Beep! Go to Sleep! Crinkle, Crackle, Crack It’s Spring! Do Princesses Make Happy Campers? Elwood Bigfoot Wanted: Birdie Friends! The Flying Hand of Marco B. From Apple Trees to Cider, Please! If You Ever Want to Bring An Alligator to School, Don’t! Mimi and Shu in I’ll Race You! Piglet Bo Is Not Scared! What’s the Time, Wilfred Wolf? Win or Lose I Love You! You Can Do It, Bert! I Will Take a Nap! Don’t Throw It To Mo! Hot Rod Hamster and the Awesome ATV Adventure! Emma is On The Air: Big News! Bridget found some dog biscuits in the shed. It tasted salty and sweet, and so she ate it. 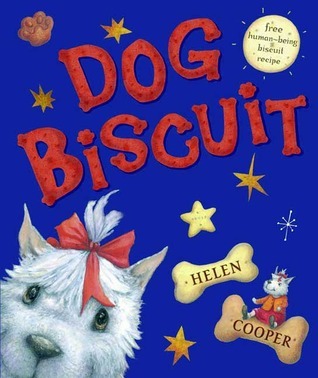 But when her babysitter, Mrs. Blair told her that eating dog biscuits would turn her into a dog, Bridget began to worry. She felt her ear itch and her tail wag. She loved the sausages at the butcher shop and acted like a wild puppy at bedtime. That night, Bridget had a dream that she had turned into a dog and played with all the other dogs. She thought about her family and howled at the moon. Her mother came into her room and assured her that she was not turning into a dog, and that Mrs. Blair had been teasing. The next morning they went back to Mrs. Blair’s house where they laughed and ate human biscuits instead. Biscuit is a puppy. On his first night home with his little girl, Biscuit barks through his bedtime routine. Biscuit does not want to go to sleep alone. Biscuit follows the little girl upstairs and ends up sleeping on the floor next to her bed. 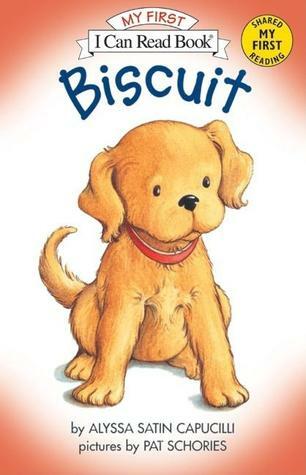 This is the first in a series of books about Biscuit, the puppy. Here are a few more. Keep reading… there’s lots more!